Mickey's Not-So-Scary Halloween Party is a fall festival held each year at Disney World's Magic Kingdom. Join Mickey, Minnie and even Goofy for some out-of-this-world Halloween family fun. Just remember that this event requires a ticket separate from your park admittance. Children and adults can dress up in their favorite costumes and attend the Magic Kingdom's largest Halloween festival. 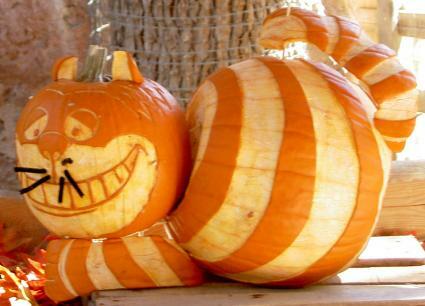 Parades, fireworks, crafts and even trick-or-treating are all in place this time of year. Because the theme is "Not-So-Scary," it is appropriate for children of all ages. On various nights between September and November, Disney World's Magic Kingdom transforms into a Halloween wonderland. The event was started in response to Universal Studios' Halloween Horror Nights. Disney's event is family-friendly and even allows everyone to dress up in appropriate costumes. 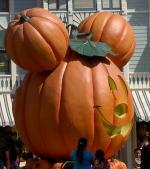 Halloween events are held each year at all of the Disney theme parks, but most go under the title, Halloween Time. Magic Kingdom and Disneyland Paris are the only two theme parks that use the aforementioned Halloween title for its annual festival. From the minute you walk into the Magic Kingdom, your experience will be transformed from everything that is ordinary Disney into a festive and fun gala. Bright yellow and orange fall decorations welcome you, as you make your way to toward the events. Cheery jack-o-lanterns carved with Mickey Mouse's face will also greet you as will various Disney characters decked out in their favorite costumes. Mickey's "Boo-to-You" Halloween Parade: Watch as Ezra, Gus and Phineas of the Haunted Mansion attraction come to life with other Disney characters in this magical parade, which runs in place of SpectroMagic. You may even get a glimpse of the Headless Horseman from The Legend of Sleepy Hollow. Happy HalloWishes: A Grim Grinning Ghosts' Spooktacular in the Sky: Fireworks for Halloween? That's right. At Magic Kingdom, stay until nightfall and watch as Disney villains go trick-or-treating in the sky. This show, held in lieu of the Wishes fireworks display, is also based on the Haunted Mansion attraction and features a variety of Halloween-themed songs from various Disney films. Trick-or-treating: Don't forget your candy sack as trick-or-treating at the Magic Kingdom is one of the biggest draws to this Halloween party. Attend the Alice and Mad Hatter's Treat Party along the bridge between Tomorrowland and Mickey's Toontown Fair where youngsters will trick-or-treat for various sweet treats. More trick-or-treating locations are scattered throughout the park. Just look for locations with lighted balloons. Halloween Dance Parties: Put on your dancing shoes and boogie the night away at two dance parties: In Tomorrowland called "Stitch's Club 626" and at Ariel's Grotto in Fantasyland called "Get up and Boo-gie Dance Party." Available dates and tickets for Mickey's Not-So-Scary-Halloween Party can be ordered online or by calling (407) WDISNEY. For additional information, check out Magic Kingdom's website. Mickey's Not-So-Scary Halloween is open to everyone, and while costumes are recommended, make sure you or your child's view is not obstructed by a face mask.